It’s our fifth year celebrating the hard-working F&B professionals that continue to serve up the kind of cuisine that Foodie readers love to devour. The votes are in and you have decided who gets to hoist that revered (and metaphorical) fork in the air. It is a cool group of winners, made all the more so by our new categories highlighting individuals like food hero and top blogger. Every year our categories grow and we honour more industry peeps, but even so, we lament that we can’t award more of the people that contribute to Hong Kong’s beautifully diverse food scene. Click here for the full list of this year’s winners and check out some of the fun pics from the awards party. This month, we interviewed the founder of a new tea producer in Hong Kong who views tea as an art form and takes pride in the origins of his growers. 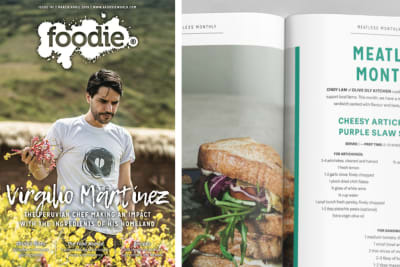 We also scored Thai recipes from David Thompson from Nahm, along with two travel features on the foods of the Mekong and Addis Ababa that’ll have your feet itching and your taste buds twitching. 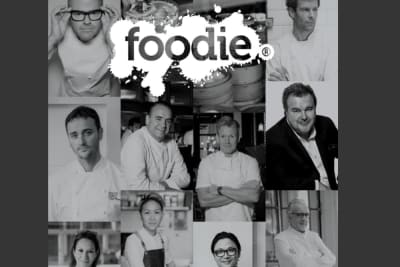 Don’t forget to congratulate all your personal fave Foodie Forks winners on their incredible achievements in F&B this year and many thanks for all your votes supporting those doing delicious things in this fine food city!